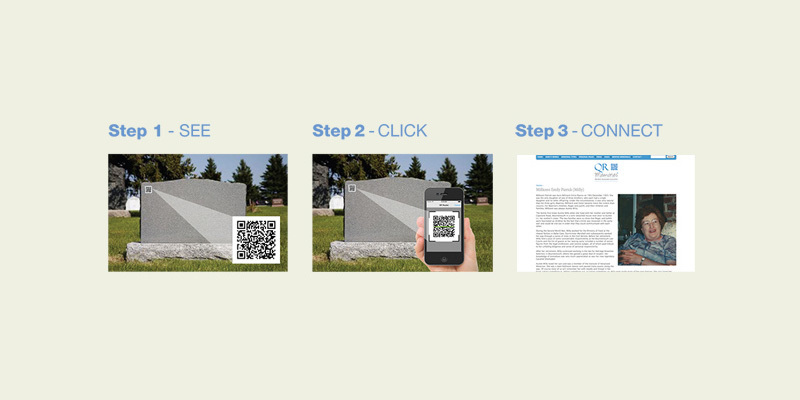 ​In addition to physical memorialisation, a QR Memorial Tag is a modern way to document the life of someone you loved and to create a legacy of that person’s life and everyone connected to them. The Memorial Tag is linked to a website where large amounts of information can be made available just by scanning the code using a smart phone or similar device. A QR tag can be cut into metal or granite and can be placed just about anywhere. It is linked to a web page where all the information stored about your loved one can be revealed.